It’s no secret that men tend to have much poorer dental health than women. They are more likely to be missing teeth, and more likely to have poor oral health. Partly, this is because they don’t visit the dentist as often. Men are about 8% less likely to see a dentist, overall, although this rate increases significantly when they get married. Overall, people are about 17% more likely to see the dentist if they’re married than if they’re single. So the people we’re most concerned about are single men–bachelors. These men need to take better care of their health. If men already knew why it’s important to take care of their teeth, they’d do it on their own. But since they aren’t taking care of their teeth, we have to assume that they don’t really know how much their teeth matter. So let’s take a moment to highlight the benefits of taking better care of your teeth. Improve your job prospects: With healthy, attractive teeth, you’re more likely to get hired for a job, more likely to be offered a higher salary, and more likely to offered a promotion. Improve your relationship prospects: What do most women want in a man? A handsome smile, that’s what! Plus, having healthy teeth and gums can improve your sexual health. Improve your self-image: No one spends more time looking at your smile than you. And if you’re unhappy with it, you’ll probably be unhappy with your appearance overall. To keep your teeth healthy and attractive, good oral hygiene is crucial: brush twice a day and floss every day. Consider a tongue scraper. Your oral health is most strongly affected by what you eat. The more junk food you eat, the worse your oral health is going to be. In particular, cut down on eating sugary foods and drinking sugary beverages will improve your teeth. When you’re out at the bar with friends, choose neat liquors or beer over wine or sugary cocktails. Wine is acidic, and cocktails can be both very acidic and also high in sugar. Another big problem is restaurant and convenience foods. These prepared foods can sometimes contain high levels of sugar. The best way to control the amount of sugar you consume is to prepare your meals at home. This also lets you choose foods that protect your teeth. Home cooking is not only better for your teeth, it’s delicious, too. But, we understand: it’s hard to find time to cook every night. The good news is that there are approaches you can use to make it faster to make dinner at home than it is to stop at a restaurant–and cheaper, too! Plus, being able to cook makes you much more desirable. And, of course, it’s important to make your regular dental checkups. At these appointments, we can check your teeth for developing problems and make sure that you’re taking good care of them. Making your regular visits means that we can spot problems as they arise–before they become too expensive! With all the benefits of taking care of your teeth, regular dental visits pay for themselves. 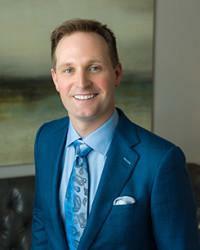 If you are overdue for an appointment with a dentist in The Woodlands, please call 832-610-3123 today for an appointment at the office of Dr. Scott Young, Purveyor of Fine Dentistry.